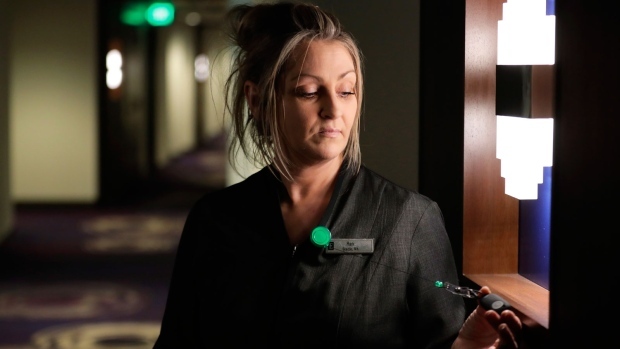 Major hotels giving panic buttons to staff in U.S. It's unclear how often the devices will be used, but harassment of hotel staff is an ongoing issue. In a 2016 survey of 500 housekeepers in Chicago, 49 per cent said guests had flashed them, exposed themselves or opened the door naked. He said the cost of the devices is easily absorbed by the company. Shrieking alarms -- the kind most widely used at Hyatt right now -- cost around $25 each. A React mobile device, like the one Accettola wears, retails for $70, but big hotel chains will likely be able to get bulk discounts.